A Memorandum of Understanding with the Alberta government establishes the Alberta Treaty 8 Trappers Association as the authority for administering, managing and preserving traplines within the traditional territory of Treaty 8. The association will be supported with $275,000 in funding for administration, buying fur, running a youth trapper training program and for a membership drive and promotion. “Our government recognizes the traditional, historical and cultural significance of trapping to First Nations in Alberta. 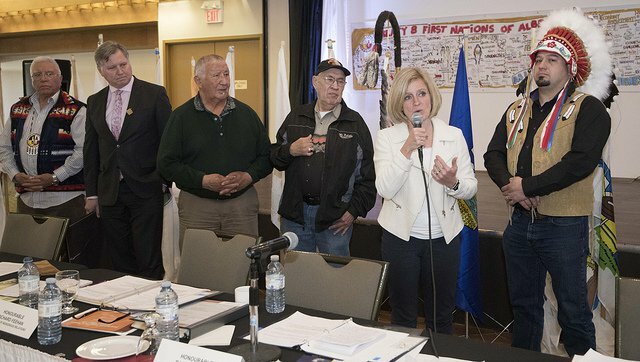 This new framework supports Indigenous self-determination and will ultimately ensure that Indigenous trappers in Treaty 8 territory can preserve their traplines,” said Alberta Premier Rachel Notley. Elder Mike Beaver, president of the association, said he was happy to see their efforts for such an agreement come to fruition. “The Memorandum of Understanding creates an opportunity to establish a body that understands and respects the integral role of hunting and trapping that defines our identities as Indigenous people, and this is very significant,” Beaver said. The memorandum ensures that the association has first right of refusal should an association member’s trapline become vacant. Additionally, Alberta will notify the association when non-member traplines become vacant within the territory of Treaty 8. “We are excited to see this MOU signed off between Alberta and the Treaty 8 Trappers Association, as this issue was mainly led by our Elders and land users within Treaty 8 territory,” said Isaac Laboucan-Avirom, Treaty 8 Grand Chief.